Throne of Heresy emerge from the unclean abyss with their sophomore album Antioch, a blackened piece of death metal art and a stylistic triumph for the band. Antioch marks the beginning of a new chapter where the material is heavier and more sinister than ever before. The album was written over a period of two years, each song painstakingly arranged and re-arranged to deliver the full impact and fury expected from the Swedish death metal canon. Recorded and produced by none other than Magnus ”Devo” Andersson (Marduk, Pain) this album is set to stand the test of time. Featuring members from Abscession, King of Asgard and Ceremonial Execution, Throne of Heresy are no strangers to the world of extreme metal. 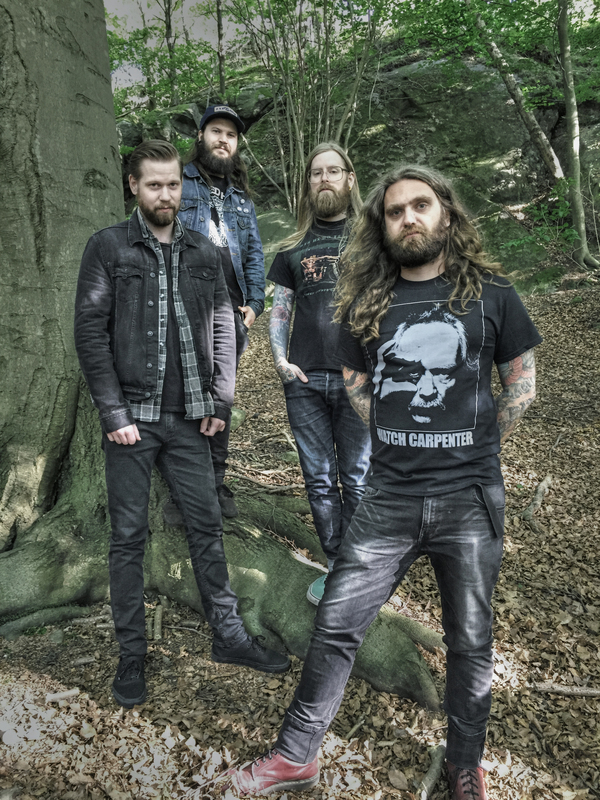 They have previously been named ”unsigned band of the month” in acclaimed Swedish metal mag Close-up, ”band of the week” at Metal Central, ”On the Spot” in Metal Exposure etc. Night went back to the future to reinvent their self-proclaimed ”80´s heavy metal before 81” attitude. Their latest album Soldiers Of Time tells a larger story as they have searched for themselves and how to make the most of time. The new album holds 11 tracks of pure rock music were the band explores new territories and reconnects with the force that burns strong within. Now, with two albums and several tours of Europe under their studded leather belts, Night has truly emerged as leaders of the new wave of NWOBHM-inspired Swedish heavy metal. Wheel In The Sky are heading for the night. After a one night stand in a damp basement in the spring of 2014 the urge to create something grand was born. Wet, hot and sticky summer nights in the same basement resulted in the debut album called “Heading For The Night”. Eight tracks of pure rock energy combined with the fury and drug-induced psychosis of sixties garage. Spiced with the anger of punk, the haunting sadness of post-rock and the epic sounds of seventies classic rock. Wheel In The Sky tells stories. Each song contains echoes of the past as well as visions of the future. “Heading For The Night” takes you on a journey. You will visit the smallest crevices of your mind and you will ride the vast freeways of space. You will encounter murder, religion, madness, sorrow and hate. On the 10th of November Svartanatt will release their début single Demon. This Stockholm based Swedish band has a classic and timeless sound that can be traced back in time to the 60´s and 70´s. With Jani Lehtinens sharp vocals on top of organ driven heavy guitar rock the songs come alive and tell a story of their own. Demon is about a man’s yearning after finding the right way, to be free from all desires, to turn away from life’s eternal struggle. Demon comes around when you least expect it. Demon grabs a hold of your soul and won’t let go. Will he ever be released? 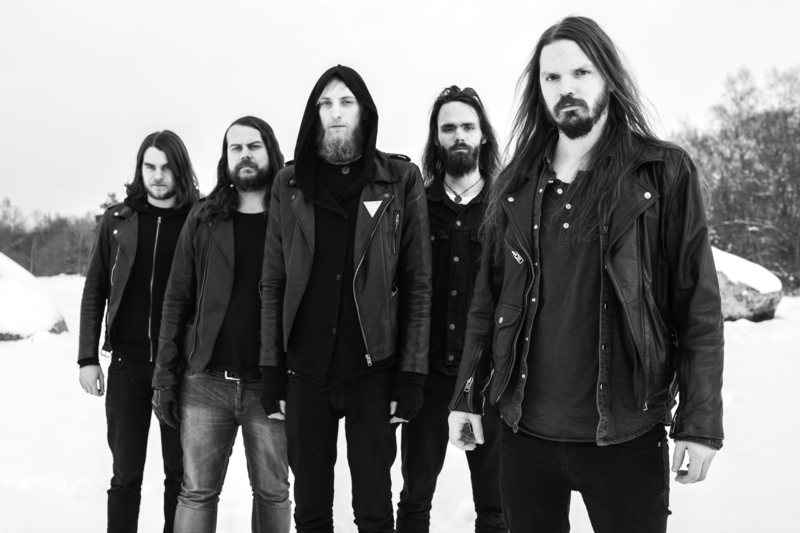 Demon is one of three songs recorded in the spring of 2015 at Slowbeat studio in Gävle by Jonas Strömberg and mixed by Konie Ehrencrona in Studio of Cobra. The music video is directed by film maker Vincent “Pussel” Widegren. The band’s début album is expected to be released in the spring of 2016. 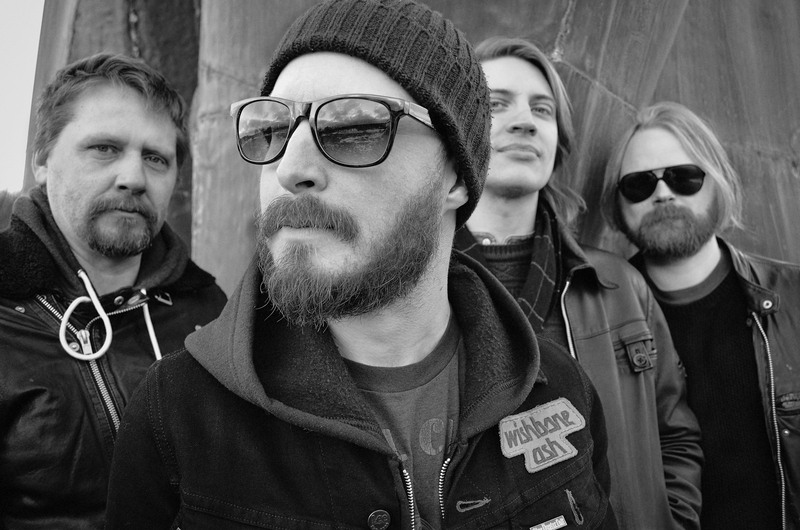 Members from Svartanatt have previously been seen in bands such as The Scrags, John Duva and Beardfish. Blues infused, psychedelic hard rock with its roots planted firmly in the rich musical soil of the early 70’s, but with branches reaching far into the future. 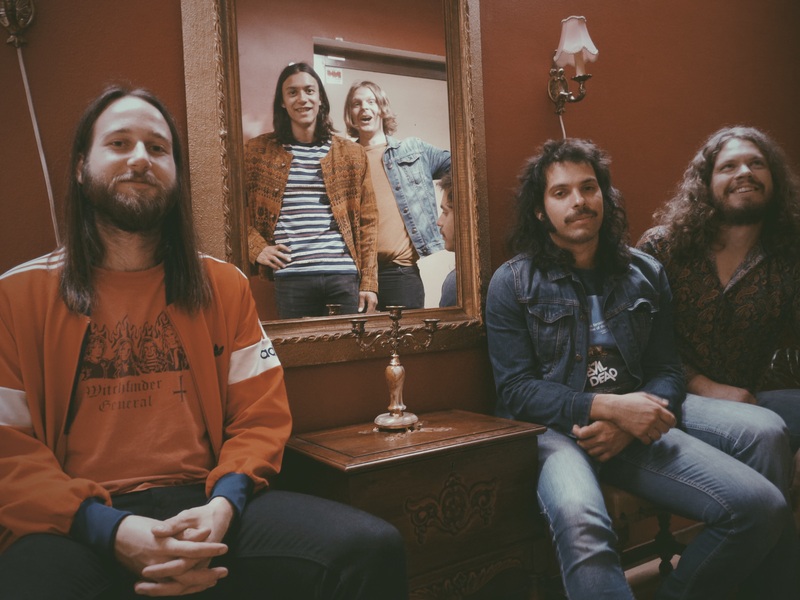 Nocturnalia pays homage to their spiritual forebears (think DEEP PURPLE, LED ZEPPELIN and UFO) without sounding like nostalgic revivalists thanks to their willingness to let the music take off in unexpected new directions. 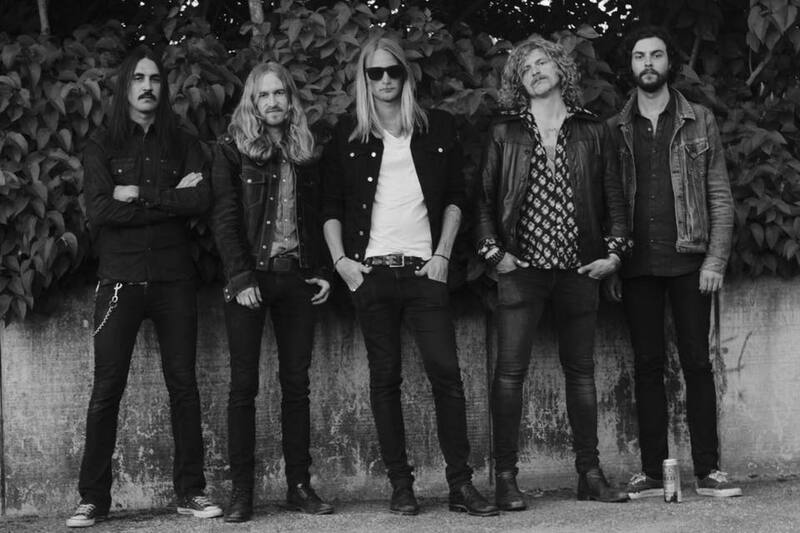 This Linköping based five-piece, formerly known as Nocturnal, has released two singles and two critically acclaimed albums since their formation in 2011. They have toured Europe several times and played festivals both in Sweden and abroad. Hällas’ new album contains four tracks of adventurous rock that brings the listener back to an age were wizards and witches were still spoken of. 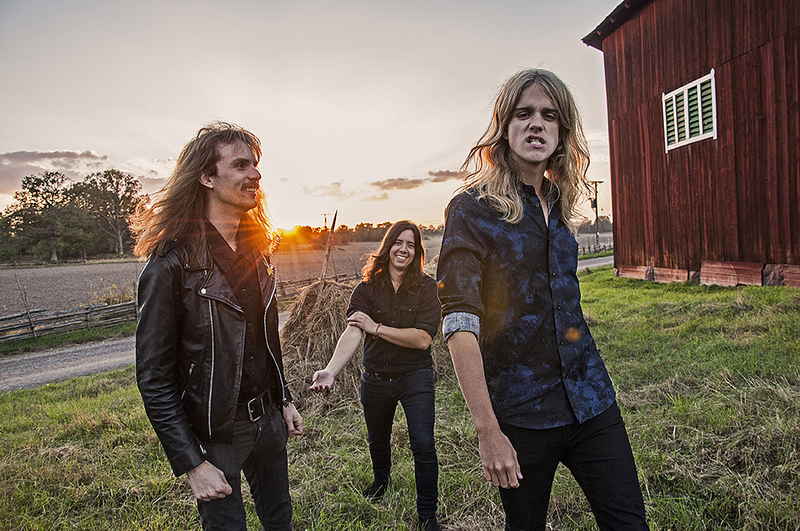 The young Swedes have forged their début album together from a foundation of prog and NWOBHM mixed together with a pain filled storytelling expressed by the vocals of Tommy Alexandersson. The twin guitars set an early 80’s mode while the rhythm and organ give the album a solid 70’s atmosphere. At 24 minutes the four songs tell stories about tyrants, knights, possessing demons and the end of the world. The album is to be released by the Sign Records the 27th of November. The band began the recording session in Treasuresound, Jönköping as a four piece. The band focused much of their studio time to bring forth the progressive side of their music. During the process the band and producer Nicklas Malmqvist realized the band needed keyboards to add depth to their progressive sound. Nicklas became the fifth member of a line-up already consisting of Tommy Alexandersson, Kasper Eriksson, Marcus Petersson and Alexander Moraitis. Album artwork is created by Nightjar Illustrations who previously worked with bands such as Uncle Acid, Danava and Sons of Huns.